As Such, this is now a Pistol and .22lr Rifle Only Range. 1. Shooting in front of the 25 yard Firing Line is allowed. 2. Firing Line is at 7 Yards, 10 Yards, 15 Yards or 25 Yards, ONLY. 3. All Targets must be placed at the Backstop Target Holders. 4. Drawing from a holster is allowed in front of the 25 yard line. If your handgun has a safety it must be engaged. 5. 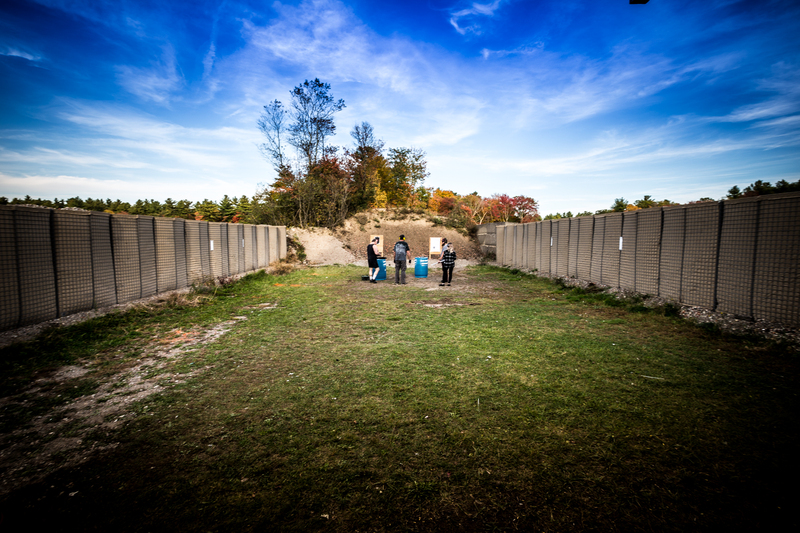 If more than one person is at the range, they must agree what Firing Distance to shoot from. All Shooting must happen from the same firing line distance. 1st person there has preference. 6. Equipment can be placed on a small stand or bench to ground your equipment when you are finished and need to change targets. ECI must be used. 7. All Firearms must remain pointed down range in a safe direction. 8. Video Monitoring is actively being used..
9. NO RIFLES other than .22 long Rifle can be used on the OUTDOOR PISTOL RANGE. NO SHOTGUNS, NO RIFLES AT ALL, except .22 Long Rifle. 10. Clean up your Brass down range at the closer firing lines.